"Healing Relational Trauma with Attachment-Focused Interventions is the most comprehensive book on DDP we now have. It will be an excellent guide to support the continuing development of DDP for at least the next generation of practitioners and caregivers." "This book is a must-read for anyone living or working with a young person who has suffered developmental trauma. In a deeply moving way, the reader is taken by the hand, into a wealth of fascinating underlying theory and case studies which explore how to engage young people who have been catastrophically hurt by adults in their lives. 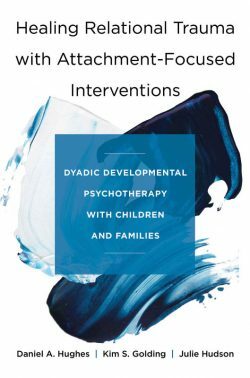 I am sure that the book will also become a seminal text for anyone studying Dyadic Developmental Psychotherapy, which is so effective in promoting change in the most defended of young people."